After selling more than 20 million Switch units, Nintendo is on its way to the launch of this handheld gaming console's second iteration, which is expected to arrive next summer. Although it will probably not make the move to an OLED panel, the Nintendo Switch 2 should feature an improved LCD display and upgrades in all the essential areas. 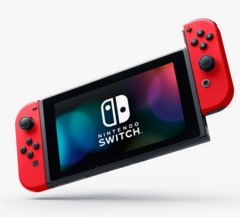 Released in early March 2017, the Nintendo Switch handheld console quickly turned into an unexpected commercial success with almost 20 million units sold by June 30, 2018. Critically acclaimed titles such as The Legend of Zelda: Breath of the Wild, Mario Kart 8 Deluxe, and Super Mario Odyssey also managed to sell an impressive number of copies, the last two going above the 10 million units sold milestone. Now, Nintendo is working on the next-gen Switch, which is supposed to arrive in the summer of 2019. The information has not been confirmed by Nintendo, but comes from sources familiar with the inner workings of the company's supply chain. These sources talked to The Wall Street Journal and revealed that Nintendo is considering a larger display, although the upgraded screen will not be an OLED one. Obviously, the LCD panel used will be an improved one, capable of providing higher brightness and improved efficiency while sporting a slimmer footprint. In addition to the new screen mentioned above, we should also get ready for a faster processor (NVIDIA, AMD, Qualcomm, maybe even a whole-new chip), 4K output in desktop mode, and maybe some VR/AR hardware as well. Are you one of the happy Nintendo Switch owners out there? What would you like to get from the Switch 2? Let us know in the comments below.